Anyone who really, really loves to cook is seriously going to love Anchor’s Complete Mixing Bowl Set. Why? Because true cooks love to spread out, placing all the ingredients they’ll need into bowls of many various sizes – just like the cooks on TV do! 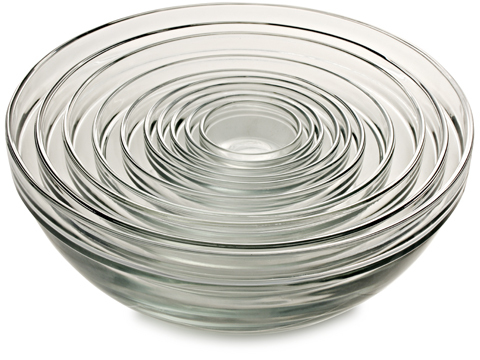 These tough glass bowls are also great for storing food in the fridge, or even the freezer. Every mixing bowl a chef could ever ask for is included in this set – from the absolutely tiny to the large and luxurious! Using all these bowls may be annoying for whoever has to do the dishes…but cooks never have to wash up, so that’s okay. This set is absolutely ideal for anyone who’s ever fantasised about becoming a TV chef…and really, who hasn’t? Made in America from glass.